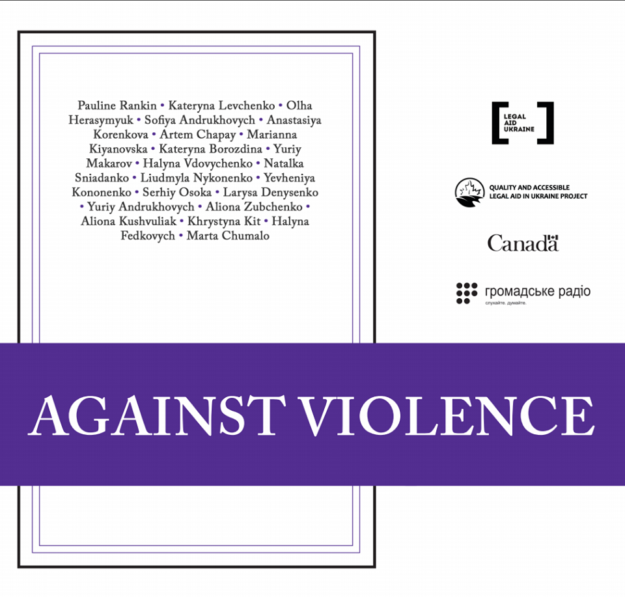 Safeguarding human rights by ensuring equal access to legal information and justice, and strengthening legal opportunities and legal capacities of members of vulnerable social groups, territorial communities and societies. 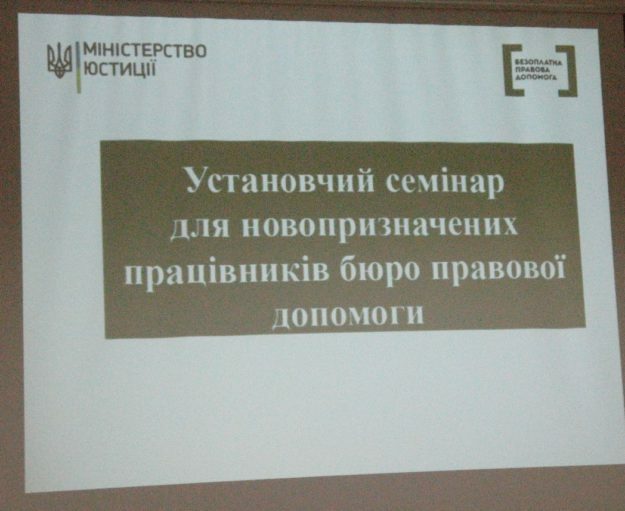 On 3 August, inception training workshops for newly-appointed staff of legal aid bureaus started in the regions. 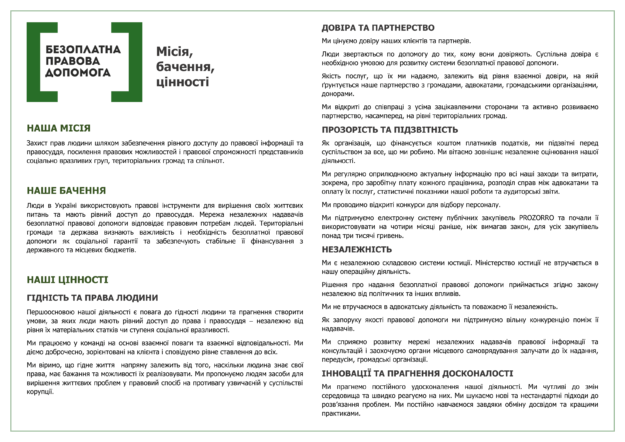 The events are aimed at collective discussion of the immediate steps to be taken for the organization of the work of the bureaus on the eve of their opening on 1 September this year, and main tasks faced by the newly appointed staff and their colleagues from the centers in the regions. 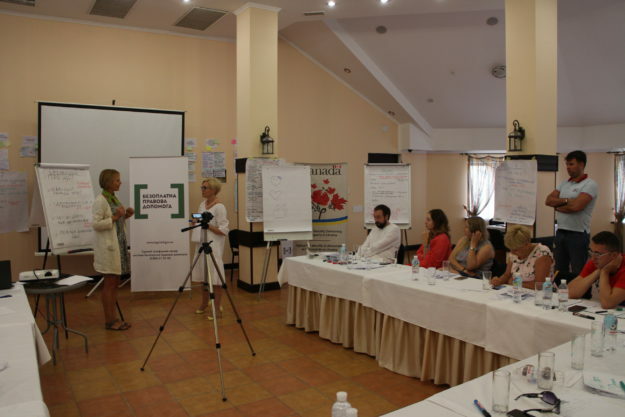 On 29-31 July, a training session on building strategic capacity and developing public communication skills was held for the team of the Coordination Center for Legal Aid Provision. 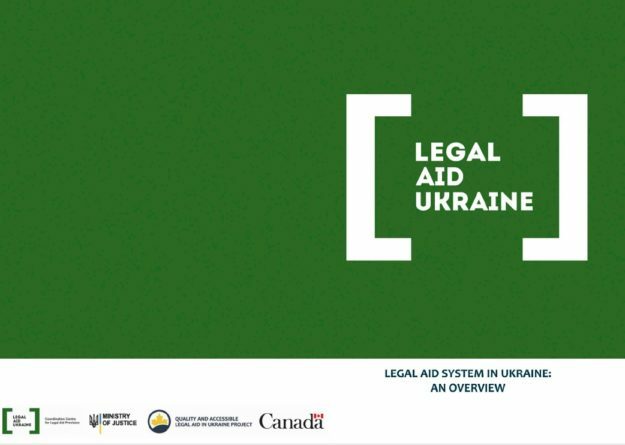 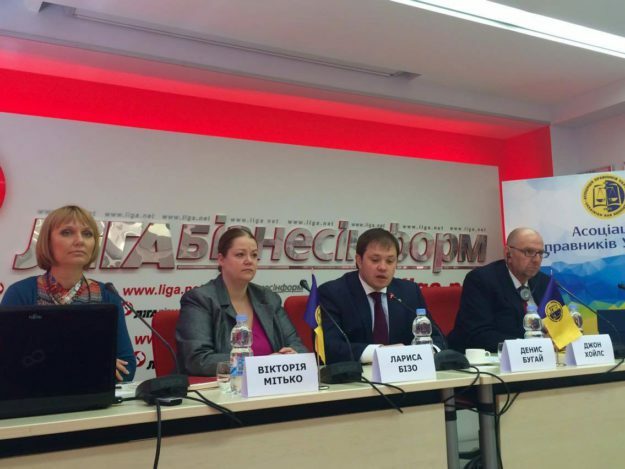 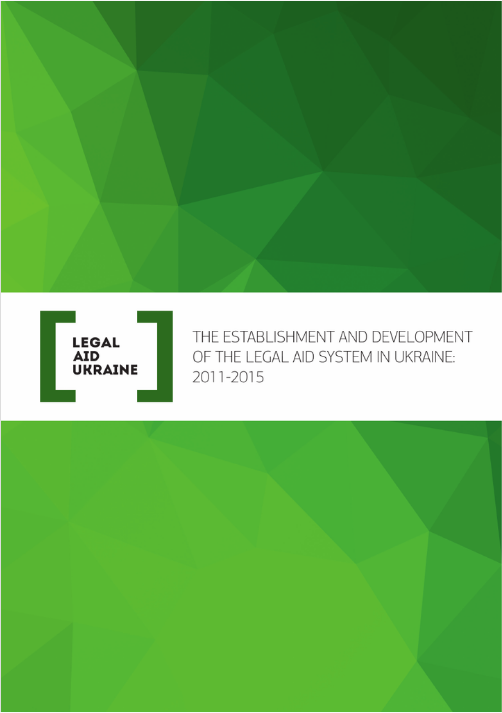 On June 1, 2016 Director of the Quality and Accessible Legal Aid in Ukraine Project of the Canadian Bureau for International Education Larissa Bezo, President of the Ukrainian Bar Association Denys Buhai, Chairman of the Board of the NGO “All-Ukrainian Association of Lawyers Providing Free Legal Aid” Viktoriia Mitko and President of the Canadian Bar Association (CBA) John Hoyles took part in a joint press conference. 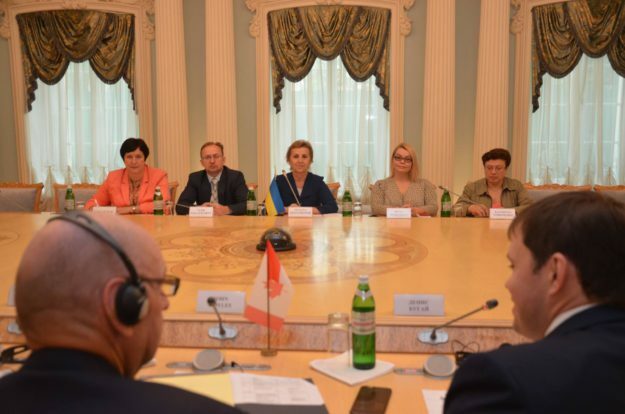 On May 31, John Hoyles, President of the Canadian Bar Association (CBA), held a series of meetings in the highest government authorities within the framework of “The Tomorrow`s Lawyer” initiative. 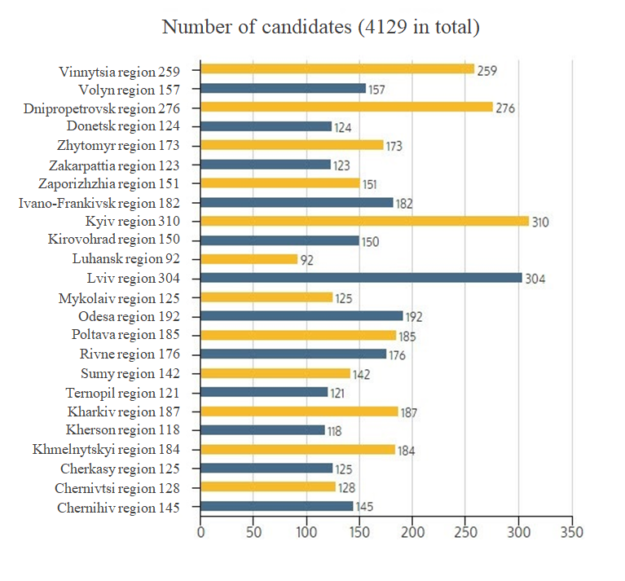 The largest number of applications was received from candidates in Kyiv (310), Lviv (304), Dnipropetrovsk (276), Vinnytsia (259), Odesa (192), Kharkiv (187), Poltava (185), Khmelnytskyi (184), Ivano-Frankivsk 182) regions. 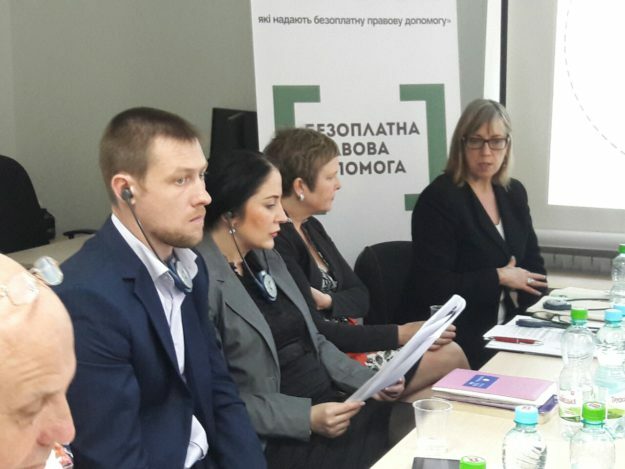 On June 1, within the framework of «The Tomorrow`s Lawyer» initiative , experts of the Canadian Bar Association (CBA) visited Regional FSLA Center in Kyiv, where they talked with lawyers and, based on the example of the Center’s performance, found out more about their cooperation with centers, cases conducted by lawyers, advanced training program in the LA system.